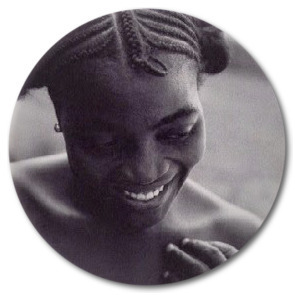 Unpacking Intwaso Exhibition is the brainchild of Anita Begin 'Nomalanga' Sikutshwa. The live art exhibition will be held from 27th - 28th September 2018, from 12pm - 6pm at Copper & Canvas, Unit 7 Mason's Press, 7 Ravenscraig Woodstock, Cape Town. Intwaso is a revival of a spirit that has been sleeping. 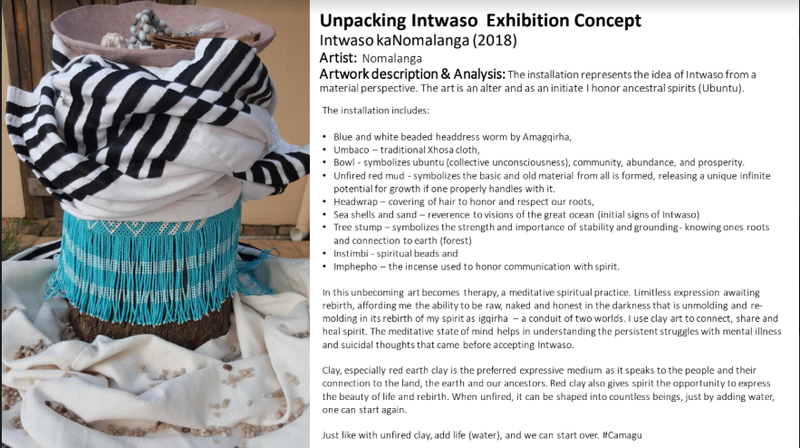 The exhibition is a recording, through unfed clay art, of the transformation an initiate undergoes during Intwaso - an African healing process rooted in culture and heritage. On how her spiritual journey started, Nomalanga says, "I accepted the calling last year as a last resort to save my life after attempting suicide numerous times. The years before accepting life was riddled with mental, physical and financial struggles to name just the tip." "The nine months "under water" I self-initiated subconsciously by way of dreams, visions and revelations - guided by ancestral memory and isithunywa. As a graduation ceremony, each healer (iGqirha) has umiombi to signify their coming out as an initiated being. 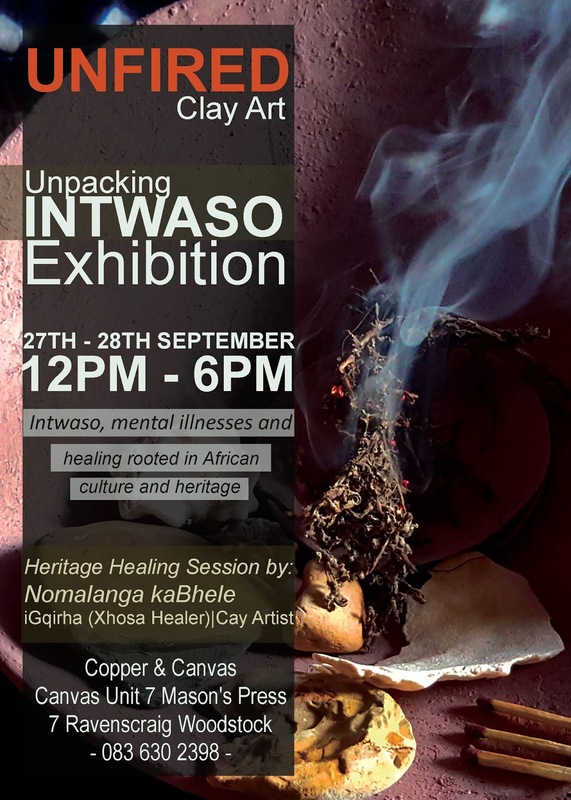 As a clay artist, I have decided to combine the two aspects of Intwaso that have helped me heal all past traumas - creativity and conversations around African spirituality; and the importance of knowing ones culture and heritage," adds Sikutshwa. 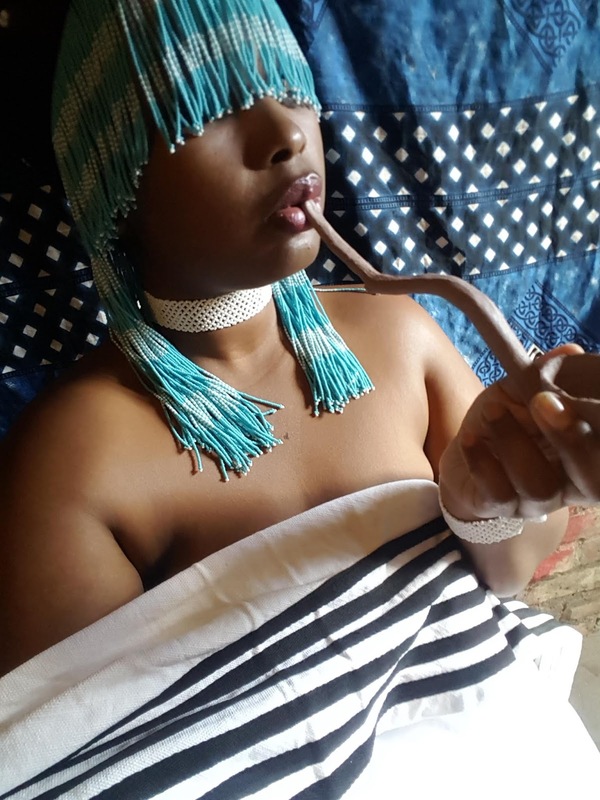 Nomalanga says this exhibitions serves as her "coming out" ceremony and it will be exhibiting the unfired clay art created during the initiation. All of the art came through dreams and visions as the art serves to heal. 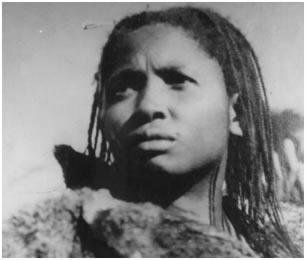 She further elaborates, "We as Africans find ourselves living an unnatural state of being and it is causing (and will continue to do so) numerous physical, psychological and spiritual problems such as suicides, depression (and other mental illness) and poverty. In order for us to heal, we will all have to answer the calling one way or another - by returning to our heritage and spiritual roots is the natural way." 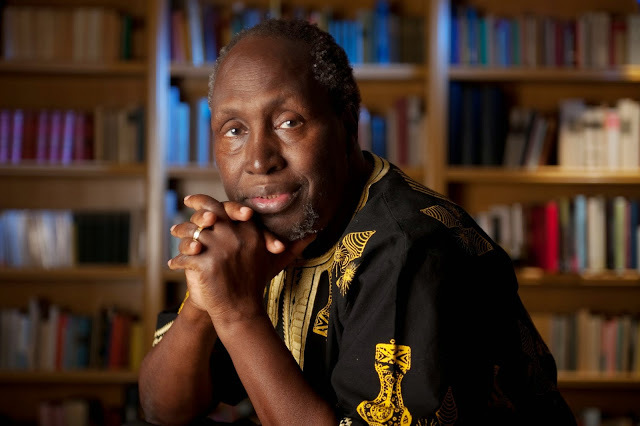 The artist urges that reclaiming our true heritage as Africans is the beginning of remember and reconnecting with African spirituality - our natural state of being as Africans. Having to bare your mental well-being to people, be it loved ones or professionals is no child's play; now imagine using it to educate the masses? If that's not courage then I don't know what is. I applaud Nomalanga for taking this initiative, baring her soul in order to change the conversation about a critical issue that needs thorough undivided attention. Mental Health is one of the most crucial issues globally, and bringing it close to home here on the continent, it is something Africans are yet to explore and understand. We often hear remarks like "those things are for White people". We need to dispel these misconceptions and have open conversations about mental health. It is that elephant in the room that needs to be dissected from all angels within the Black community. Mental illness knows no race, gender, religious affiliation, sexual orientation, class etc. Anyone can experience it regardless of their background. It is long over due and with the likes of Anita, I hope such platforms serve as a reminder not only to spark dialogue about the issue-at-hand but also yield results in form of prevention and enlightenment as well as the overall well-being of our people.